When you think of spending a day lazing on the beach, it’s pretty easy to imagine golden sands between your toes and deep blue waters lapping up against your skin. However, there are a handful of waterfront locations scattered around the world that are far from the average beach. Coming in a variety of colours, being comprised of many different materials and even attracting some interesting visitors, here are five of the world’s most unique beaches that definitely need to be seen to be believed. 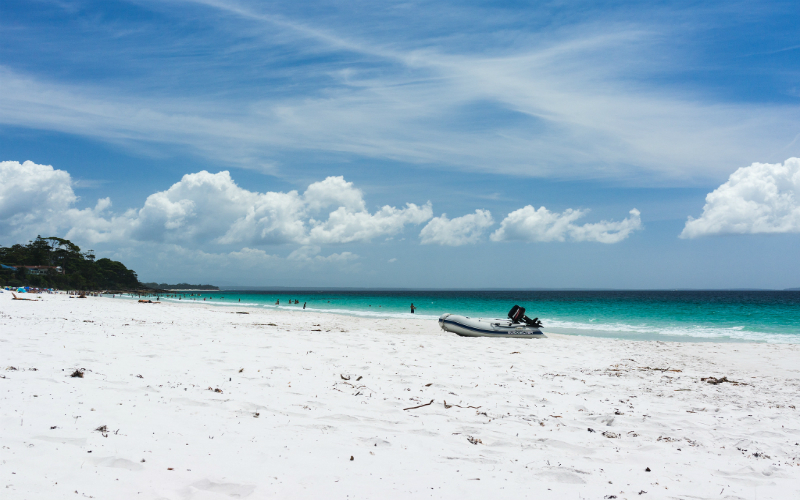 Declared the world’s whitest sands by the Guinness Book of World Records, Hyams Beach is a fine quartz beach that offers the pristine beauty of a tropical island only a few hours from Australia’s largest city. Popular with the area’s locals, the fine white sands attract thousands of tourists each year as they seek their own little slice of paradise. Hyams Beach, Australia. Image Credit: Jayphen. 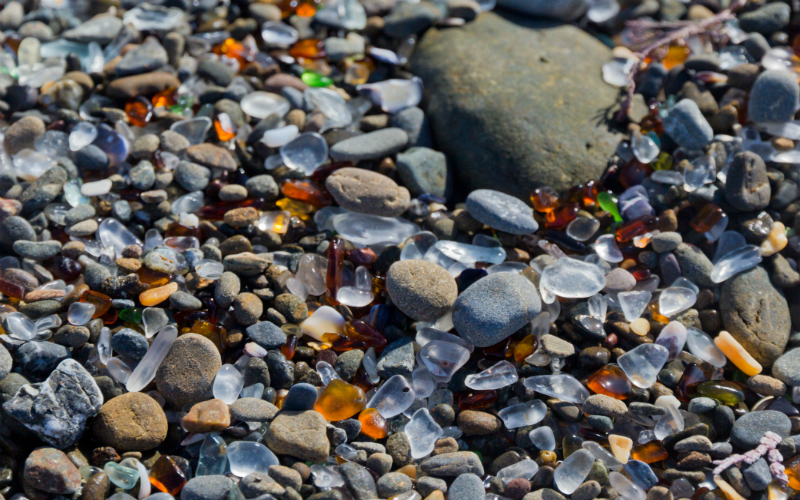 Used as a rubbish dumping site between 1906 and 1967, the shoreline of Glass Beach is now coloured with small pieces of glass that have been smoothed by the sea over the past century. With pretty much every glass item you can imagine dumped at the site at one time or another, don’t be surprised that pretty ruby red glass pieces are in fact the last remnants of vintage car brake lights! Glass Beach, Fort Bragg, California, USA. Image Credit: Sarah and Jason. 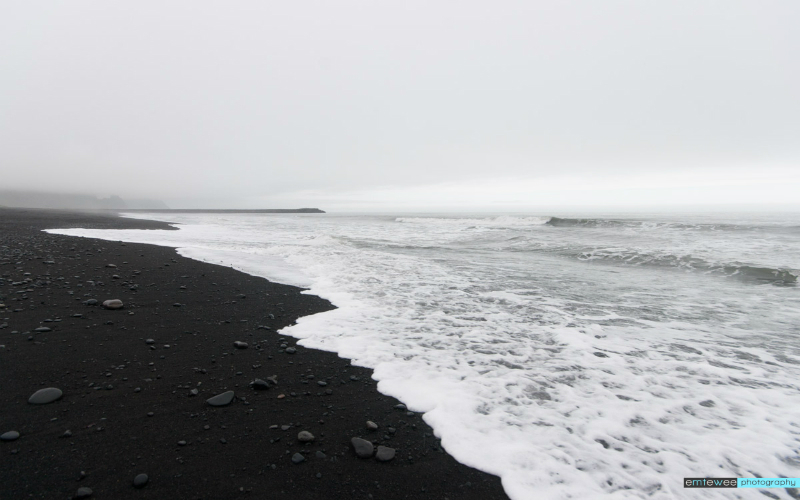 Facing towards the Atlantic Ocean, the beaches of Vik are covered with breathtaking black basalt sands. Formed as hot lava cooled rapidly in the surrounding seawater and shattered into tiny fragments, the sands are a unique sight to behold. While the sands may be warm enough to sunbathe on during summer, the beach’s waters stay icy cold all year round. Vik, Iceland. Image Credit: Emtewee. 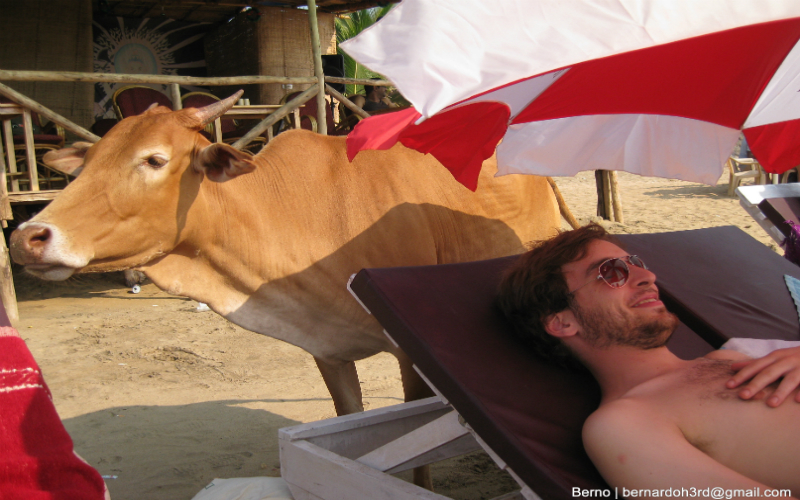 A trip to the beach is often associated with chip-stealing seagulls and tiny rock-pool dwelling fish, however during a trip to Anjuna Beach you’re likely to encounter a cow, or two. Considered holy animals within Hinduism, the most popular religion in India, the cows of Anjuna Beach are given free reign to wander and sun bathe as they please. Cow Beach, Anjuna, Goa, India. Image Credit: Bernard Oh. Reminiscent of the colour of fairy floss, the rosy hue of Pink Sand Beach has developed over time as the red shells of tiny sea organisms and small pieces of coral have mixed with the beach’s white sands. If the pink sands wasn’t enough of a drawcard, the beach is also surrounded by turquoise waters and sheltered by a coral reef, making it a popular snorkelling and scuba diving site. 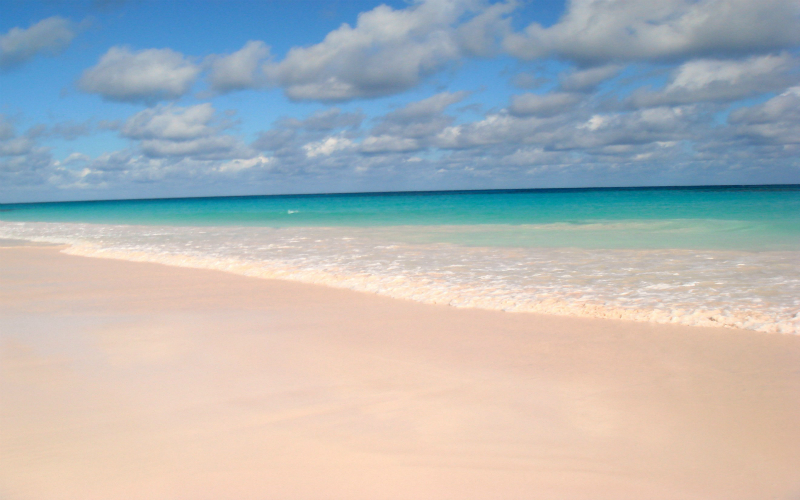 Pink Sands Beach, Harbour Island, The Bahamas. Image Credit: Mike’s Birds. Inspired to visit one of the world’s unique beaches? Find a great selection of flights, hire cars and hotels perfect for your next waterside escape with Webjet.